Like every other francophile and film buff in town I’m getting excited in the run up to the UK release of Jacques Audiard’s new film, Un prophète (A Prophet). To my mind – and many others – Audiard is France’s best filmmaker in modern times. His work first came to my attention when I was at school. We were studying the Nazi occupation of France and our teacher made us watch Un héros très discret (A Self Made Hero). Audiard’s screenplay about a nobody who passes himself off as a WWII Resistance hero had me captivated all the way to the tense end. His cinematography taught me that cinema truly was le septième art and that it was an art form that didn’t necessarily need a titanic budget (it was Leo and Kate’s love story that dominated screens that year) to impress. Later I was spellbound by his De battre mon coeur s’est arrêté (The Beat that My Heart Skipped), a thriller about a musical prodigy who gets caught up in the murky world of real estate. It was one of those films that stayed with you a long time after leaving the cinema. Certain images were etched in my mind but above all I couldn’t stop thinking about the main character. It is Audiard’s heroes – or, I should say, anti-heroes – that make his films so compelling. Yes, his films are stylishly shot. Yes, the plot grabs you and doesn’t let you go. But it is as psychological portraits that his films become masterpieces. Perhaps it is because Audiard is both screenwriter and director that he is able to create such powerful characters. Taking up the mantle of director/auteur from Truffaut and the rest of the Nouvelle Vague, he brings together visual and script to explore the identity of someone on the edge of society, an outsider whose inner flaws will bring about their own downfall. I’m hoping to catch an advance preview this Wednesday at the BFI (I think there’s still tickets), where it’s being screened as part of an Audiard and French thriller season this month. I’ll let you know if it lives up to expectations. Also on show as part of the season are A Self Made Hero (January 15) and The Beat that My Heart Skipped (January 11 & 20), which I thoroughly recommend. For a full list of the BFI’s programme click here. Infamous leader of the French far right, Jean-Marie Le Pen, has predicted that Griffin’s appearance on Question Time will boost the Brit’s popularity. Certainly Le Pen’s own performance on a similar French chat show proved a great boon for him. Before he appeared on the prime-time show L’Heure de Vérité in 1984, his Front National had seen little press coverage and was polling at 3.5 %. Afterwards, they went on to score 11% in the European elections that year. No wonder Le Pen called his TV stint “the hour that changed everything” and said the BNP “could now enjoy a surge in support” in an interview with the Evening Standard this week. And his heure de vérité in 1984 was only the start. Le Pen went on to shock the French nation by coming second in the French presidential race in 2002, beating the former prime minister Lionel Jospin. So far, so bad. But if we’re truly to understand the impact that Griffin’s Question Time performance might have, we need to look at what happened after Le Pen’s first round success in the 2002 elections. Le Pen was totally trounced in the second round, winning 18% of the vote to Jacques Chirac’s 82%. Determined to stop the nightmare scenario of Le Pen Le Président, even voters who despised Chirac were prepared to, as the slogan ran: “Vote for the criminal, not the fascist.” (Chirac was suspected of corruption at that time). Success can be a double-edged sword for extreme parties. More people voting for them – or perceived to be voting for them – will lead more moderate voters who had been wavering to cast their ballots against them. In Le Pen’s case 2002 also proved to be his peak. A million fewer people voted for him in 2007 and he came fourth in the first round. He’s now back on the fringes where he belongs. So perhaps we can hope that the BNP’s success in the recent European elections and Griffin’s raised profile thanks to Question Time will actually be his downfall in the long term. Perhaps the spectre of an emboldened BNP will push more of us to vote than the mere 61% who turn out last time. A controversial and complicated debate is raging across France this week after the French parliament’s lower house voted on Wednesday by a narrow majority – 282 to 238 – to loosen restrictions on Sunday trading. If ratified, the bill would allow shops to open on Sunday in 500 tourist areas and cities with more than a million inhabitants. Previously Sunday was designated a day of “repos”. 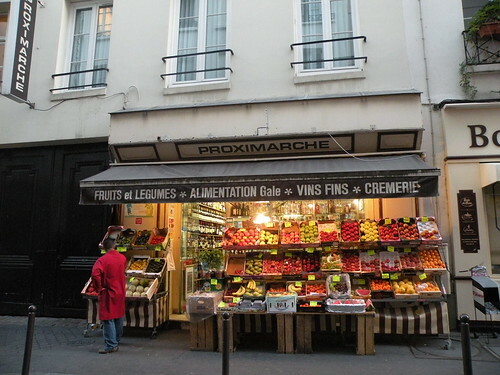 All commercial activity in France was banned, although there were certain exceptions including markets and grocers. But the bill is yet to be ratified. It still has to get through the Senate and even if the upper house approves it, it could still be blocked. The Socialist Party, which voted against the law has threatened to go to the Conseil Constitutionnel, arguing that the law would be unconstitutional. They maintain it would create inequality among workers, forcing some to work on Sunday, allowing others to keep this traditional day of rest. In Britain, we’ve long taken for granted that shops should be open at our convenience but the issue of whether to keep dimanche sacré is dividing France. A poll for Libération revealed that 55 per cent of French people were opposed to allowing more Sunday trading. The divide is not totally along left-right lines – even within Sarkozy’s UMP, despite pressure from the top, 10 mps voted against the law and 15 abstained. Rather the debate centres on the question of whether to move towards a more free market Anglo-Saxon model. The law’s critics claim allowing more large discount stores and supermarkets to trade on Sundays would lead to smaller traditional shops going out of business. Its supporters say the changes would boost public spending and the economy. Want to do something really French this Bastille day? The artists behind En attendant Godard – a film being made in homage/challenge to the most radical director of the France’s Nouvelle Vague – invite you to take part in /sabotage filming that’s taking place in London and Paris in the next week.